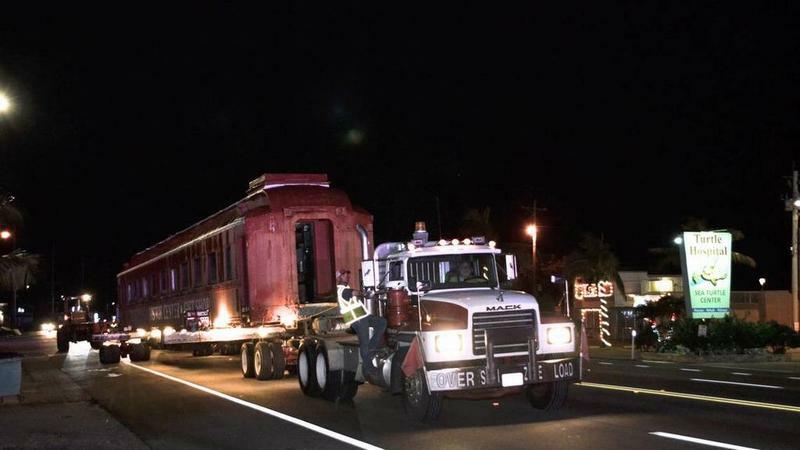 Around 2 a.m. Tuesday morning, a tractor-trailer truck pulled the old Pullman train car three miles to its new point at Crane Point Hammock. 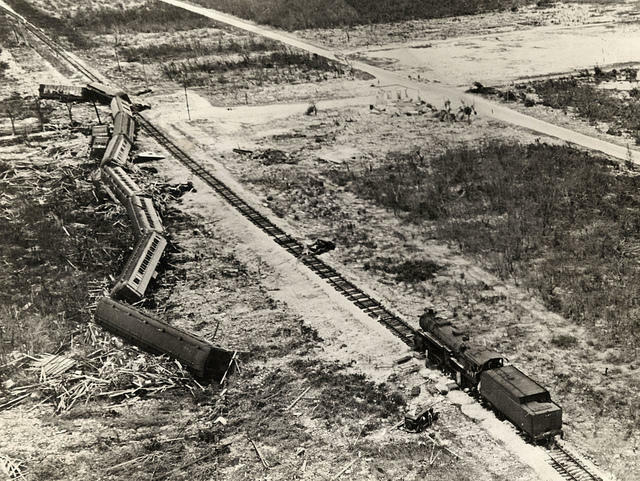 It's been more than 80 years since a train rolled along the Florida Keys. But this week, one car moved along a small piece of the island chain. For decades, the red Pullman car has been a familiar sight at the east end of the Seven Mile Bridge. The train car served as the visitor's center for Pigeon Key. 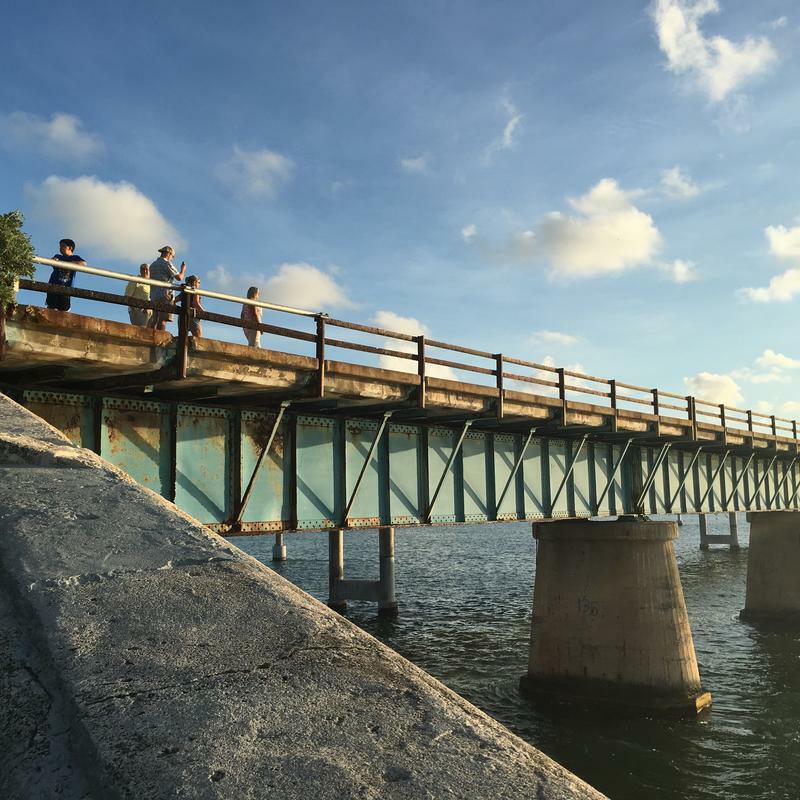 It wasn't actually on Pigeon Key because that island, in the middle of the old Seven Mile Bridge is only accessible by boat. The island served as an important base camp in the building of the Overseas Railway in the early 20th century. Now it is a historical site and also hosts marine science classes for field trips. The train car was on nearby Knight's Key, but that island is the site of a new resort, now under construction. So the car needed a new home. Early Tuesday — very, very early so it wouldn't disrupt traffic — the train was loaded onto a flatbed trailer and pulled by a truck to a spot three miles up the road. Its new home is the Crane Point Hammock Museum and Nature Center. The train car is likely to house offices, along with a possible train museum and meeting space, according to the Florida Keys Keynoter.